Apologies for resurrecting this thread. I came across the inscription on Eyewitness works a few weeks ago and decided to make a rubbing of it. Since there is more interest in Eyewitness works at the moment (with the recent Mausoleum of Giants exhibition) and the buildings upcoming conversion into flats I thought people might appreciate it if I shared the outcome of the rubbing (and an enhanced version of it). 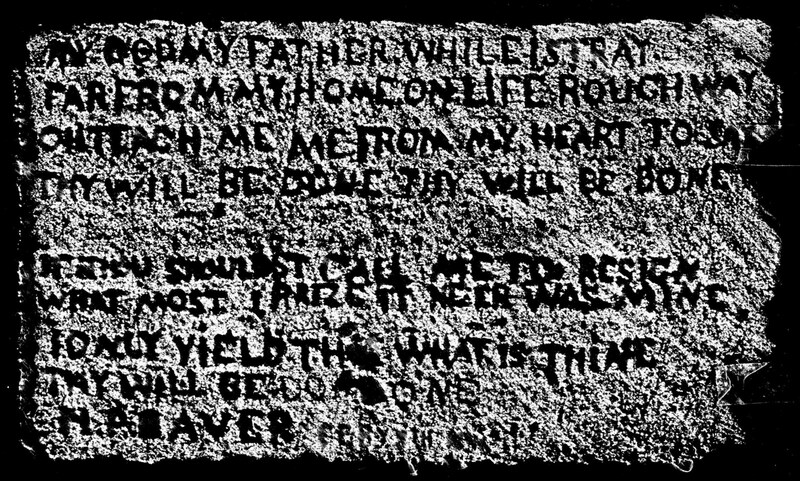 In terms of the history of the inscription, I cannot add anything beyond what is discussed in the thread - other then to confirm that my own research hasn't offered any better theory for the inscription origins. I just hope that when they redevelop the block they don't destroy it - since its been on the building for more then a hundred years! Pevsner Architectural Guide says the Eye-Witness Works built in 1852 was originally a two story building, construction work started c1875 extending the building and adding a third floor. It could simply be that Henry Baver/Beever was working on the construction site and with a bit of spare time on his hands decided to leave his mark on the building! 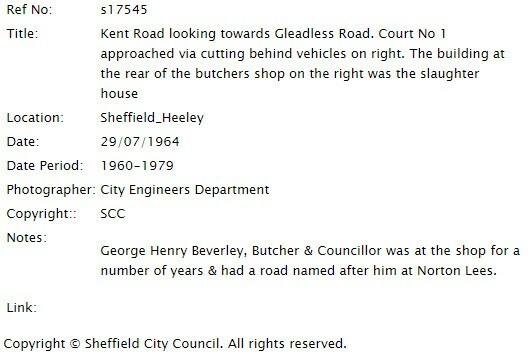 Henry Ibbertson Beever was born at Slack Fields, Oughtibridge the son of Thomas & Harriet Beever, he was christened at St Nicholas Church Bradfield on the 4th of May 1843. His wife Priscilla Beever(nee Smith) died in 1930 aged 83. Wasn't there a sports shop on Bramall Lane? Seem to remember a couple of mates buying the latest Patrick football boots at a shop somewhere on Bramall Lane in the late 60s. 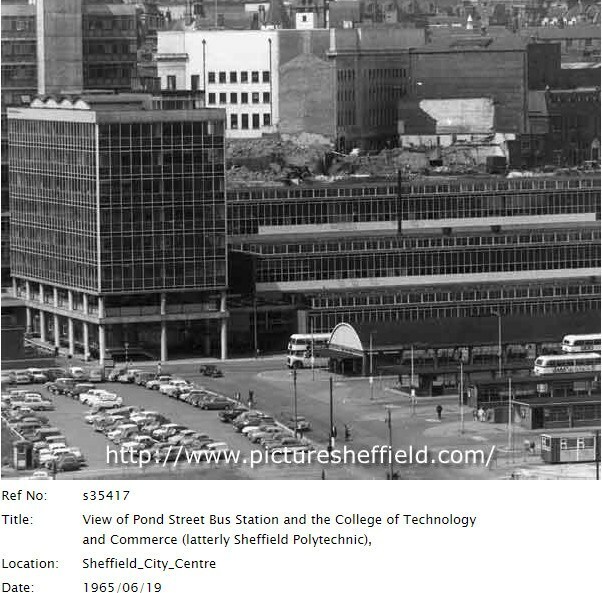 The Polytechnic was called the College of Technology when i started my City & Guilds course there in 1961. My leap into the world of an apprentice plumber was an introduction course at the old Salmon Pastures School on Attercliffe Road (the school was in use as a training center for the Building Trade). From the age of 15 to 18 you attended 2 evening and 1 day release class, from 18 to 20 you did 3 evening classes. At the age of 18 you became an improver and trusted to carry out small jobs independent from your Master Plumber mentor and became too valuable to the Firm for you to attend day release classes. You had a pay increase every year on your birthday up to the age of 21 when you were then payed the full union rate (on qualification) some Firms payed above the union rate! A couple of fellow apprentices worked for Firm`s that required you to sign indentures binding you to that company for several years after serving your apprenticeship. The plumbing, heating and gas workshops at the Tech in Pond Street were all located on the lower tier of the original building. 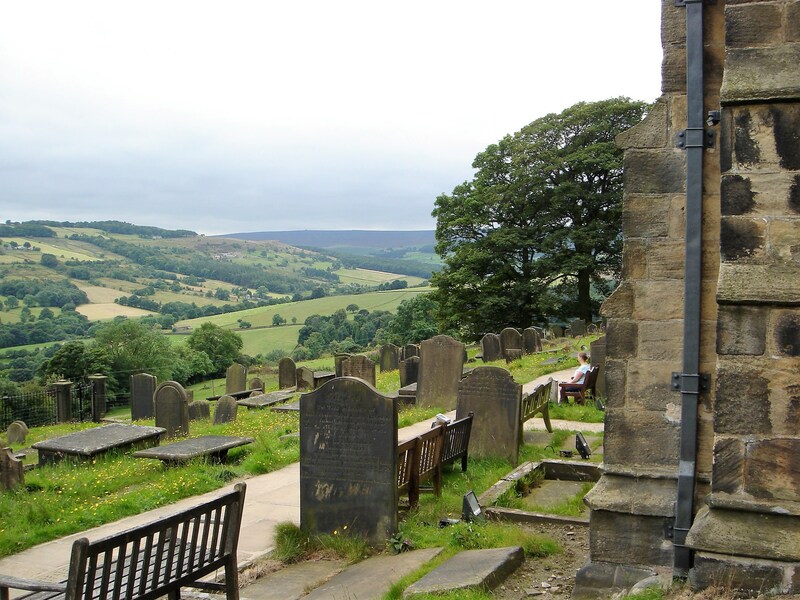 My favorite viewpoint is looking out towards the Peak District from St Nicholas Church in High Bradfield. Great club, brilliant atmosphere as it was on 2 levels, remember looking down on the stage from balcony above and watching top acts of the day such as John Mayall, Spencer Davis ( Steve Winwood), Joe Cocker ( Vance Arnold + Avengers ) and others like Dave Berry, Alan Price etc. Top blues club when I went. 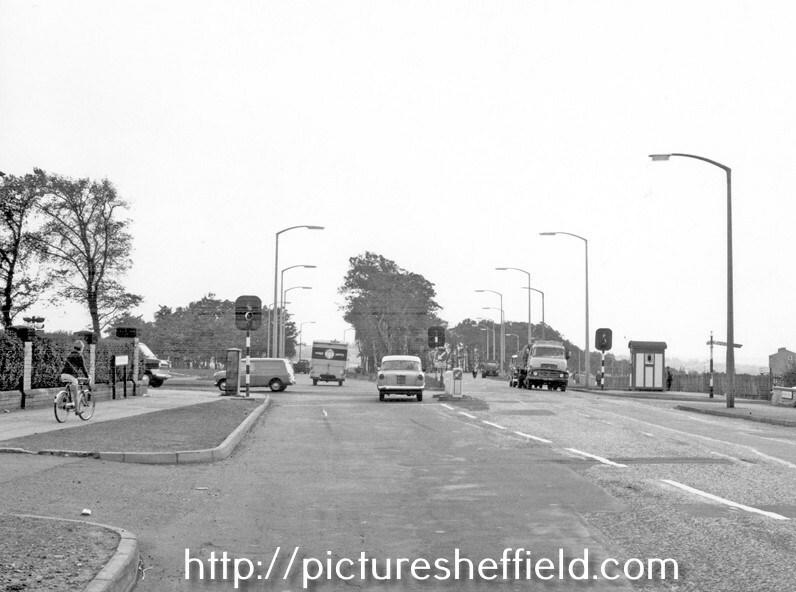 lived at Bradway and traveled from there to Pond St bus station not far away from Leadmill Road, a lady called Nora was always in the bus station shouting, I think she used to sleep there. Great times indeed Rich47, I remember the night of the Police raid when they kept us all locked in and you couldn't leave until they had taken your name and address and checked it out with a Kelly's directory, didn't get home until 3am, walked all the way home to Greenhill! 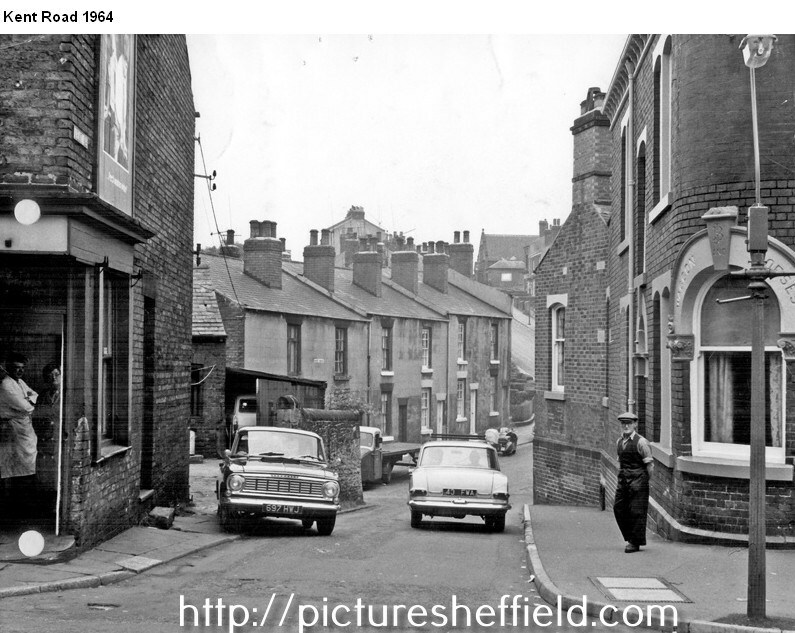 When I first started going to the Esquire it was a Jazz Club at the weekend and a Pop Club during the week or vice versa, also went to Club 60 the other Night Club owned by Terry Thornton located in the cellar of a building somewhere along Shalesmoor. i never realised their origins and I think they were eventually swallowed up by Neill Tools? J Stead and Co became part of the Balfour Darwin Group in 1961! The Plumbing firm I worked for carried out the plumbing maintenance for the group and during the long cold winter of 1963 i think I worked at most of the group's premises. The Sheffield Forge and Rolling Mill at Millsands and a Wire Mill at Kellam Island. Andrews Toledo on Neepsend Lane. 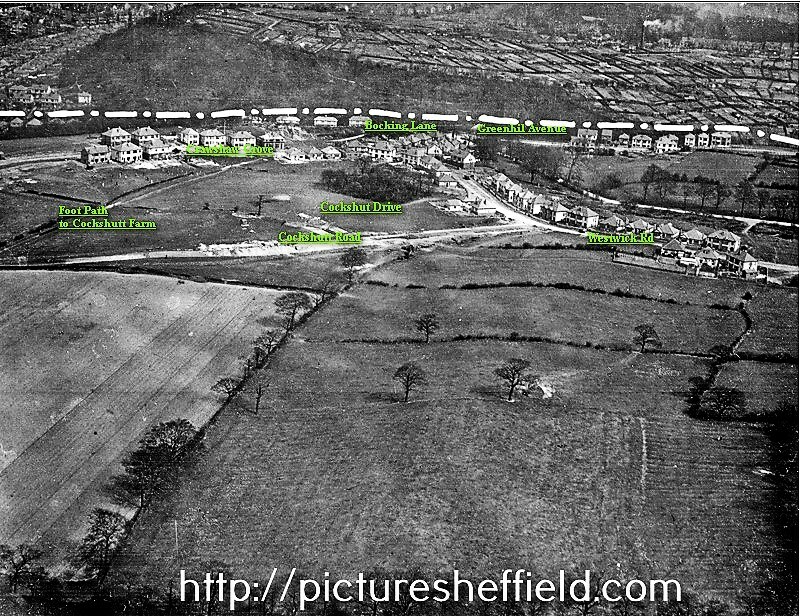 Wardsend Works on Penistone Road and a Stockyard on Livesey Street. 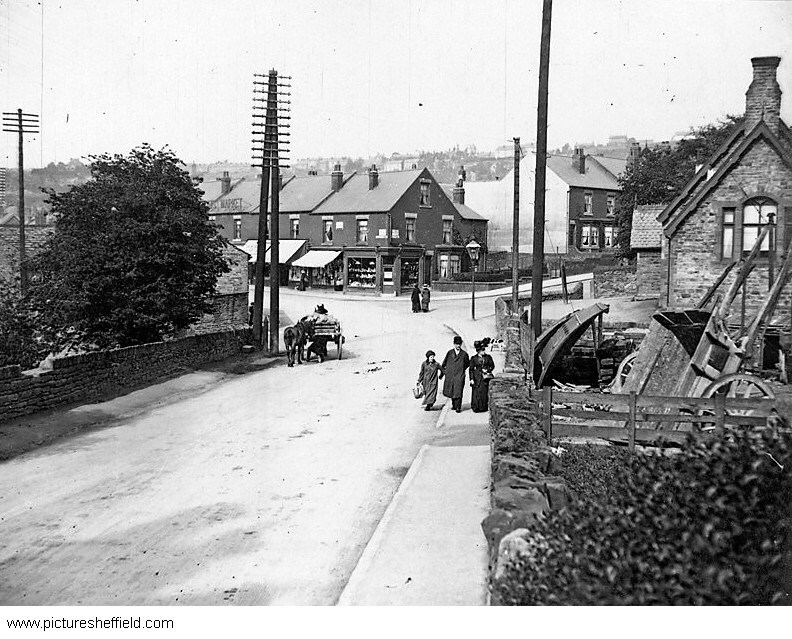 A Forge and Rolling Mill at Beeley Wood and the Fitzwilliam Works on Sheffield Road, Tinsley. 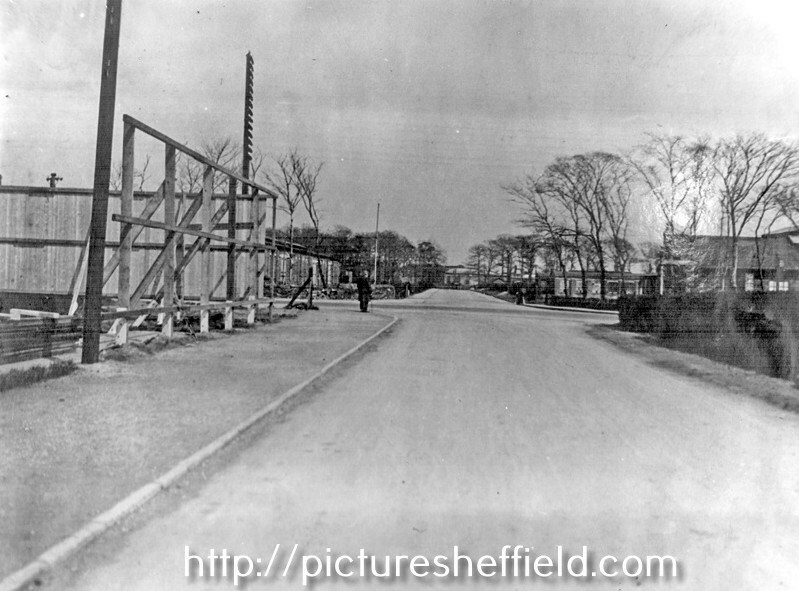 This Picture Sheffield photograph taken by the City Engineers Department in 1935 shows the early construction of the Westwick and Cockshutt Road area. 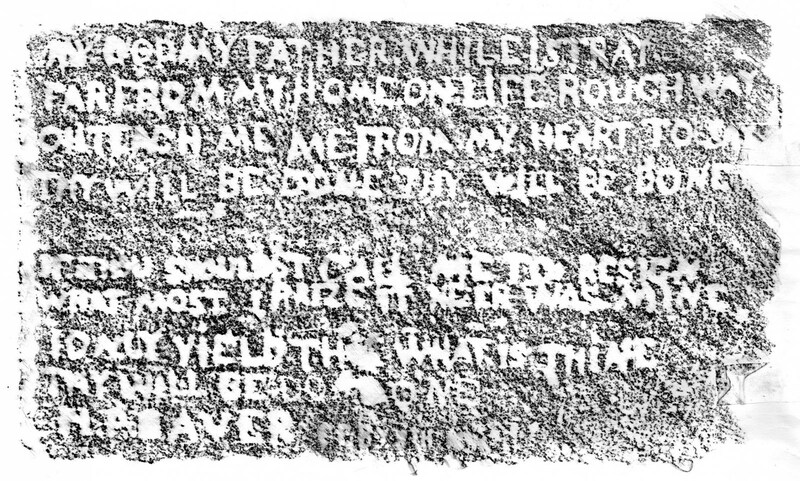 James Andrew was a farmer who used to own Greenhill Hall as explained in the document called "Greenhill conservation area appraisal 2008" (P7) and confirmed by a relative (Granddaughter of M. James Andrew). Quoting from the Harrold Armitage book Chantrey Land! "Many will remember Greenhill Hall as the home of Mr William Lister, land agent and surveyor, who was at Greenhill in the fifties and more recently the Misses Lister dwelt here and owned the place. 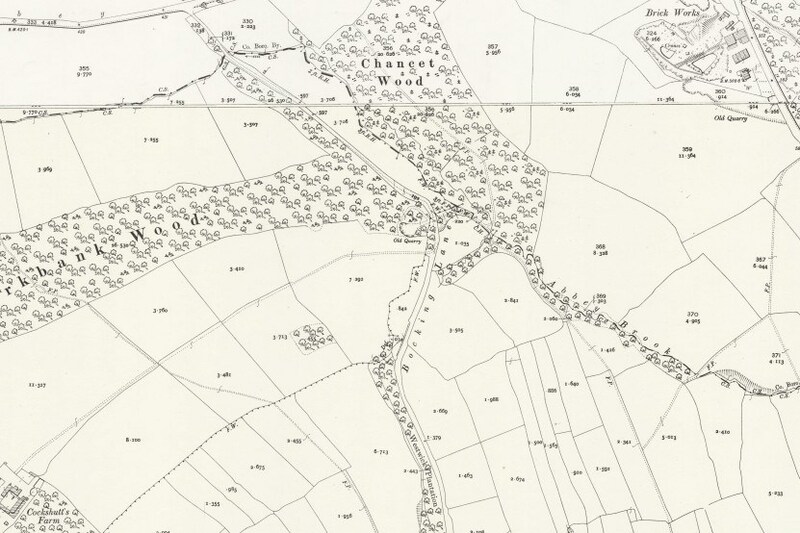 After them came the Crawshaws, and in 1900 the present occupier Mr James Smith Andrew, bought the Hall"
Estate agent Frank Crawshaw purchased a lot of the land in the Westwick area from The Beauchief Abbey Estate in the 1920s. A possible builder of the housing in the Westwick area could be local builder Robert Jones of Greenfield Road, Greenhill. He carried out a lot of the housing construction in the area including his own home and road that he lived on. 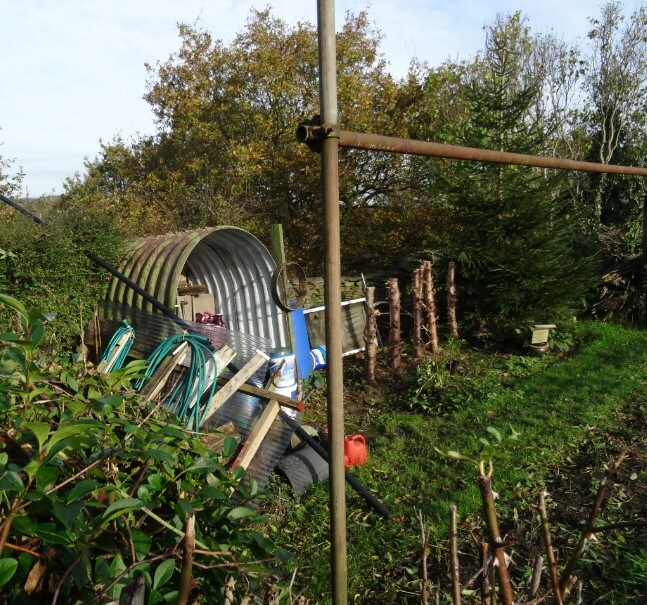 Out walking i came across this Anderson Shelter on a local Sheffield allotment being used for storing gardening bits & pieces and wondered if there were many more still knocking about? I remember Timberland on the Moor, we'd just married so it'd be some time in 1971. We'd taken out a mortgage on an old semi in Meersbrook, for which we'd paid the princely sum of £1450, outside loo, no bathroom and an old Ascot gas water heater over a Belfast sink in the kitchen which I replaced with a new sink unit from Timberland. Seem to think you could hire a van from them by the hour to get your good's home? 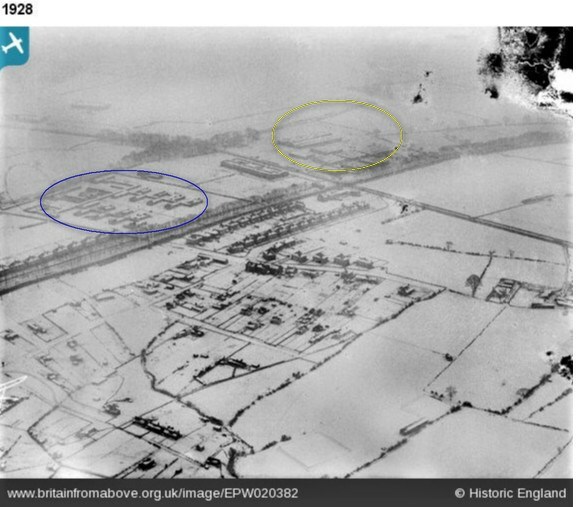 Meadowhead Crossroads photographed from above in the winter of 1928 (Britain From Above) Coal Aston Aerodrome circled yellow, Painted Fabrics circled blue. Here`s another unique location to deliberate over. It`s seen quite a few changes over the years? Same crossroads 25 years later and from a different direction! As you`re saying tozzin! looking on the bright side(no pun intended) at least it will get some well deserved maintenance and lets hope any work carried out internally compliments the original decor. Just working from the early census records the Hall became an Inn sometime between 1851 & 1861. 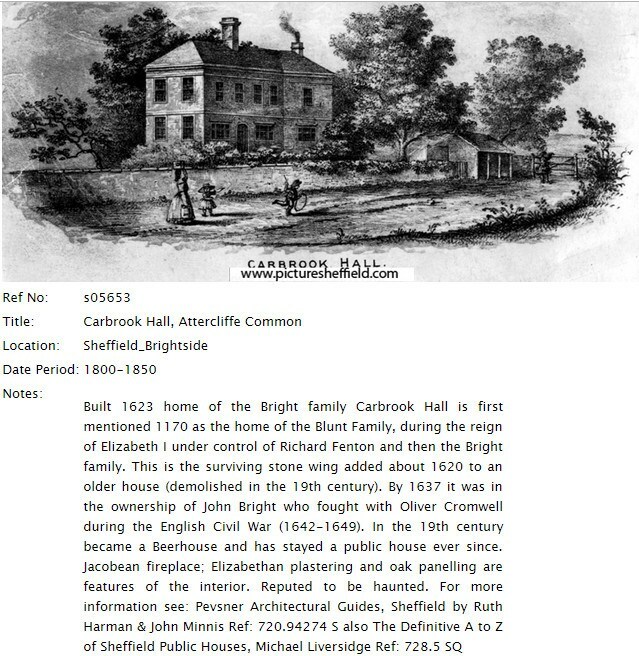 Carbrook Hall in 1851 was the home of George Bradford a farmer of 100 acres employing 2 men, by the time of the 1861 census it was trading as the Carbrook Hotel in the ownership of publican William Bunting and his wife Elizabeth. 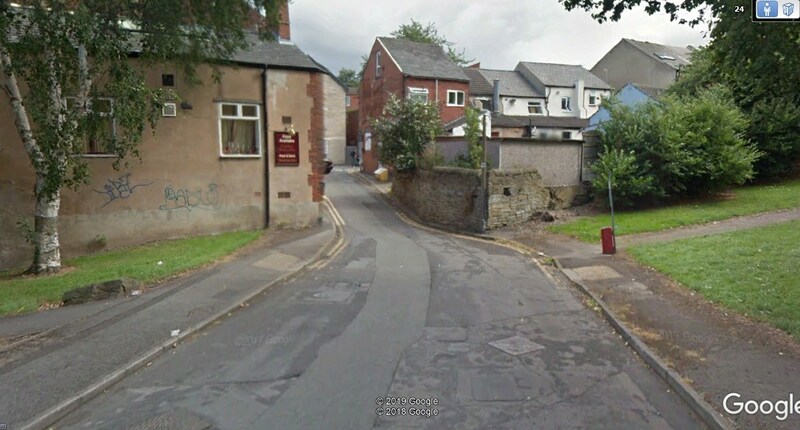 No 1 Victoria Road (Green Bank on Edmunds map) was the home of Daniel Doncaster in 1871. 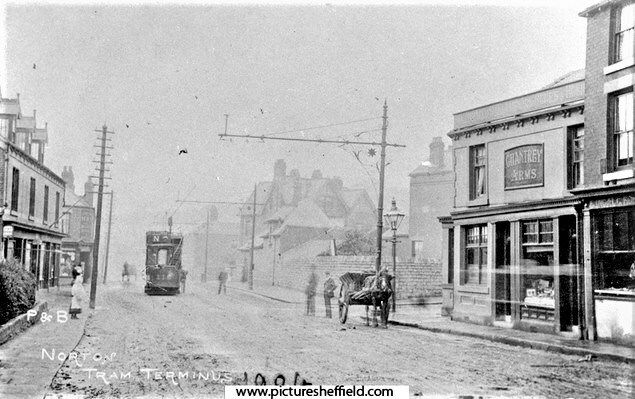 John Fairburn died at 2 Wilton Road, Broomhall in 1897, he was interred with wife Olivia in the General Cemetery. tozzin: This could be the Chap responsible for the construction of Fairfield House. 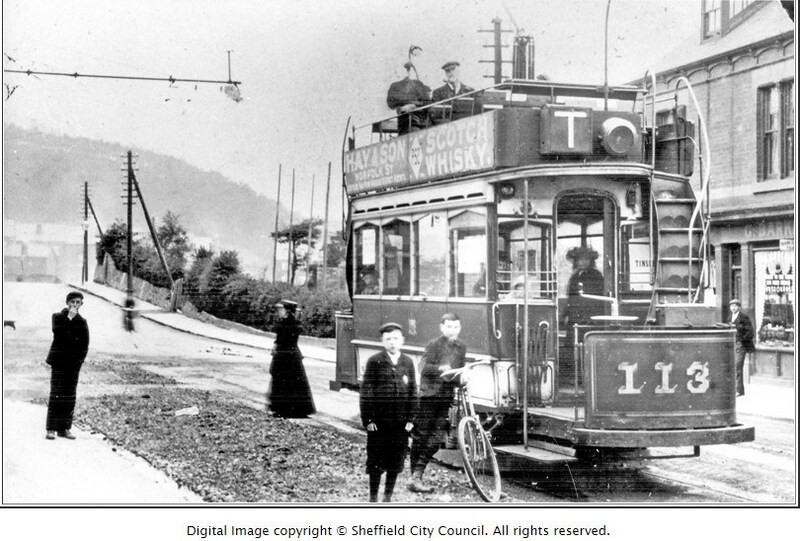 This clip is from the 1879 Whites Directory of Sheffield. Overlay one two and three .. 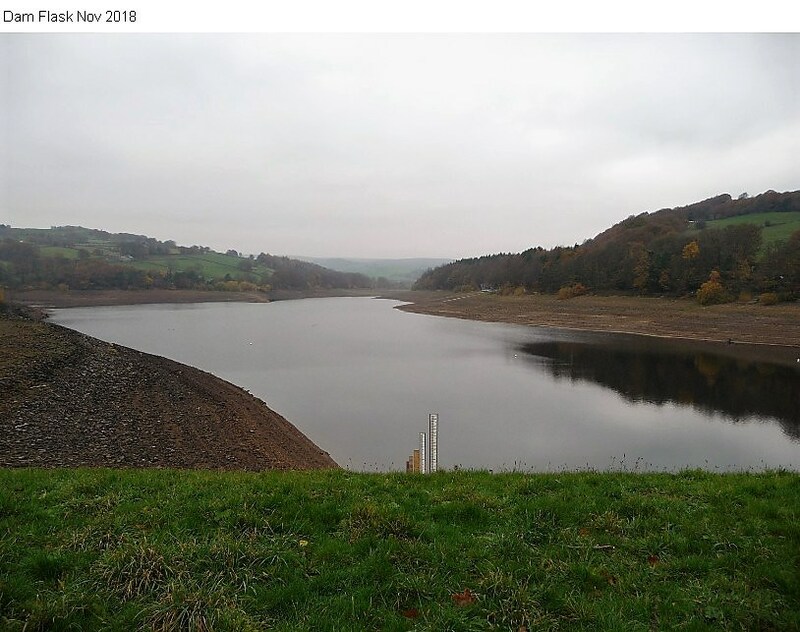 It can be seen quite clearly in this third image when the water level was low. 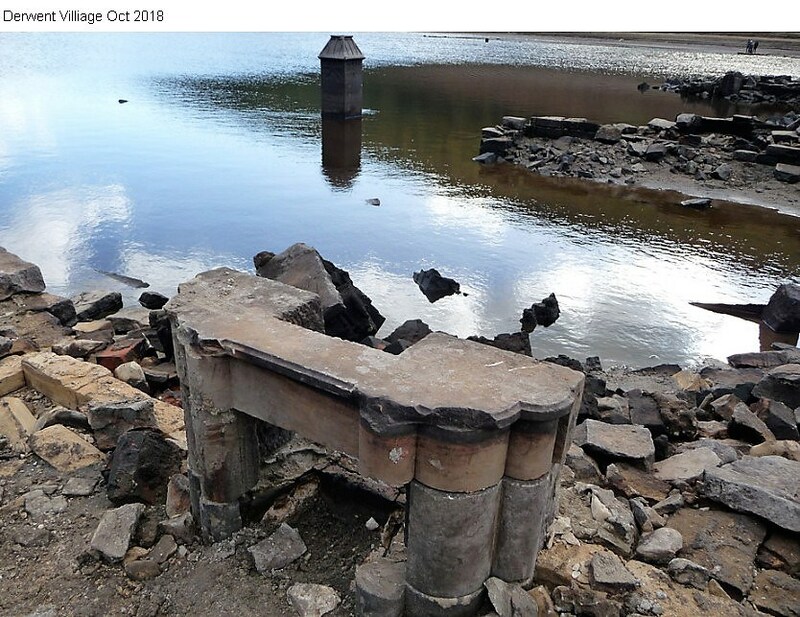 I had a drive over to Low Bradfield to see how low the water level was in Dam Flask, its not low enough to see any signs of the old Hamlet of Dam Flask but if we don`t get any serious rain fall soon i think we might get to see the old bridge last seen when the Dam was drained for repair work in 1948. There is a link in the post above about to a photograph of the old bridge over to the Hamlet. 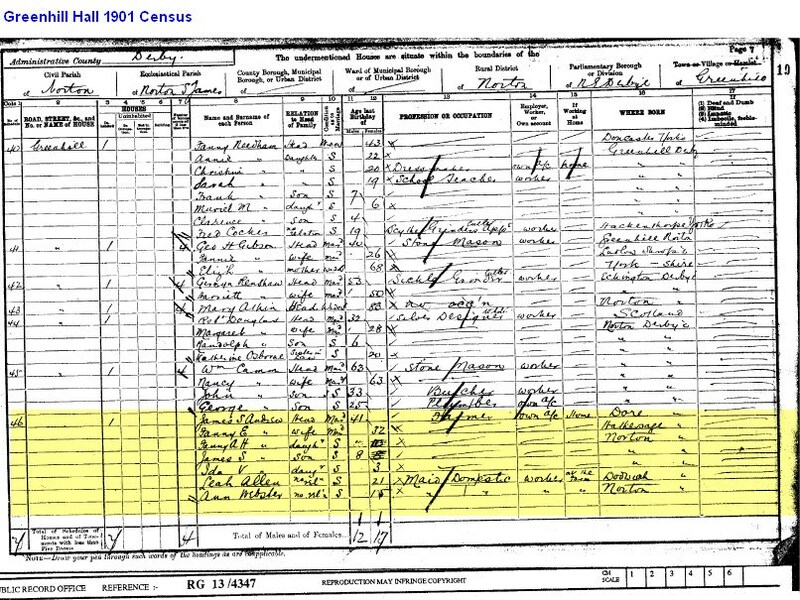 My 3rd Great Grandfather lived and worked in the old Hamlet where he owned a wheelwright business, the census taken in 1871 shows he was still living there for at least 8 more years after the Great Flood of 1863. 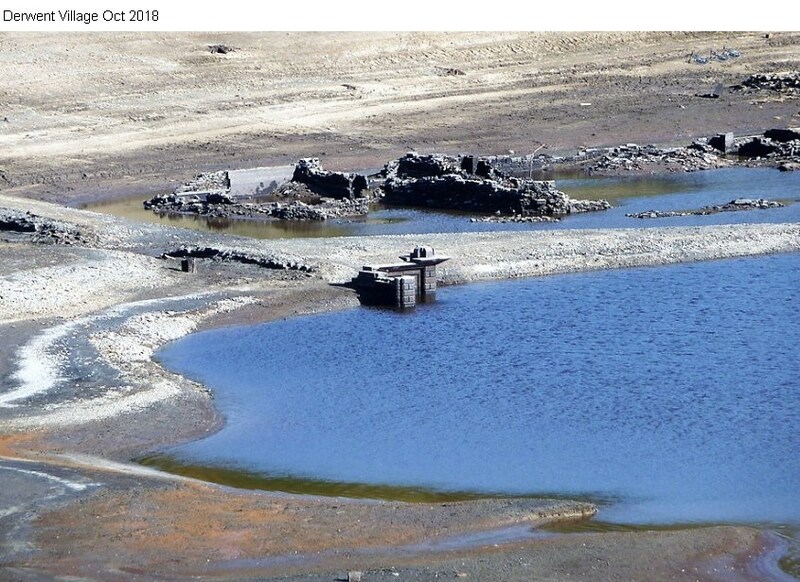 Anyone know the year the Hamlet was finally abandoned to make way for the Dam? 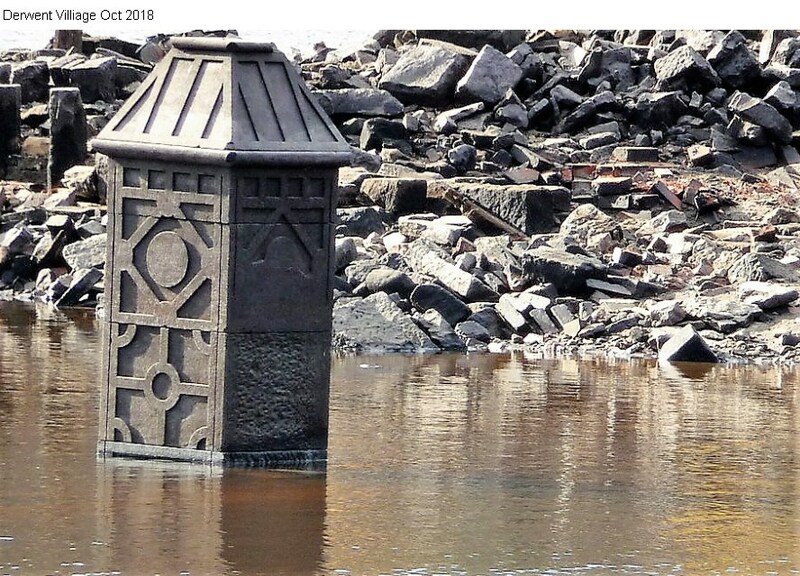 Looks like a fireplace, a pillar and other bits of what’s left of Derwent Hall to me? Thanks for the links RLongden. In one of the links about the Hall it says Charles Boot carried out the demolition of the Hall, wasn't he the guy who demolished Clumber House after it was destroyed by fire? Next time I'm out at Derwent I'll look out for your dad's bench! In the early seventies i installed some heating in the building called the Old House over on the opposite side of the reservoir from your dad's bench, if I'm remembering correctly it was leased at the time to a Mr Ollerenshaw JP. Some photographs of Derwent Village, i`m not sure what buildings these ruins were part of! can anyone enlighten me as to what they are? 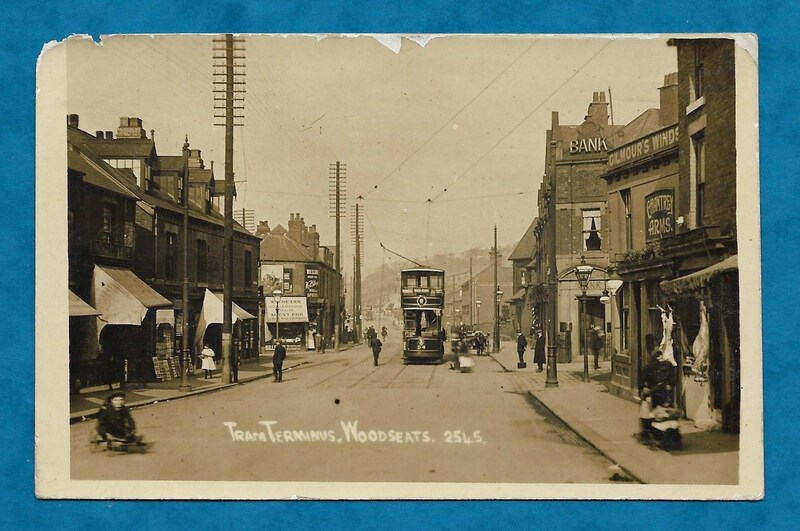 I believe the Chantrey terminus was only the end of the track for a short time in 1903 until the track was extended to Abbey Lane and that the caption inserted on the original postcard has obliterated the track in the foreground, but the overhead wires are still visible. I would appreciate expert help here, first to correct me if I am wrong and secondly to say when car 24 got it's covered top deck. Question for Voldy! 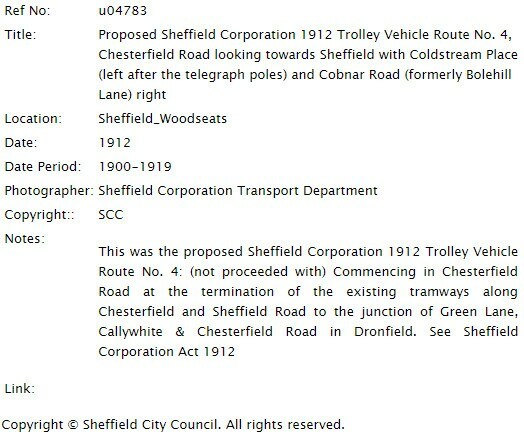 did trolley buses ever run in Sheffield? 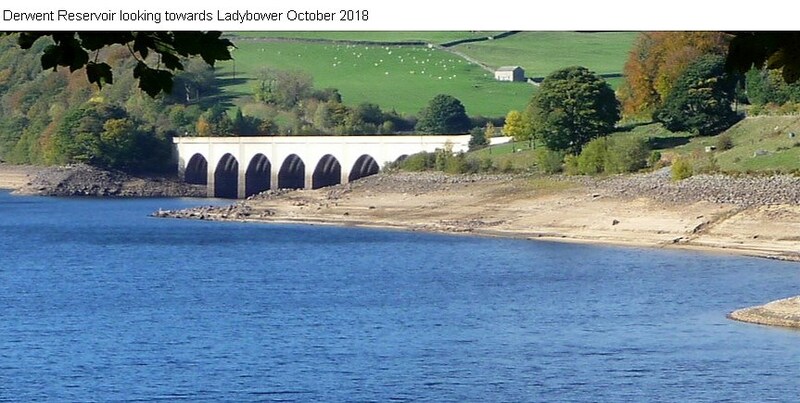 I have occasionally been fly fishing on Ladybower, using one of the rowing boats. If you row under the viaduct towards Derwent it seems you can nearly touch the top of the arches. The water must be very deep. 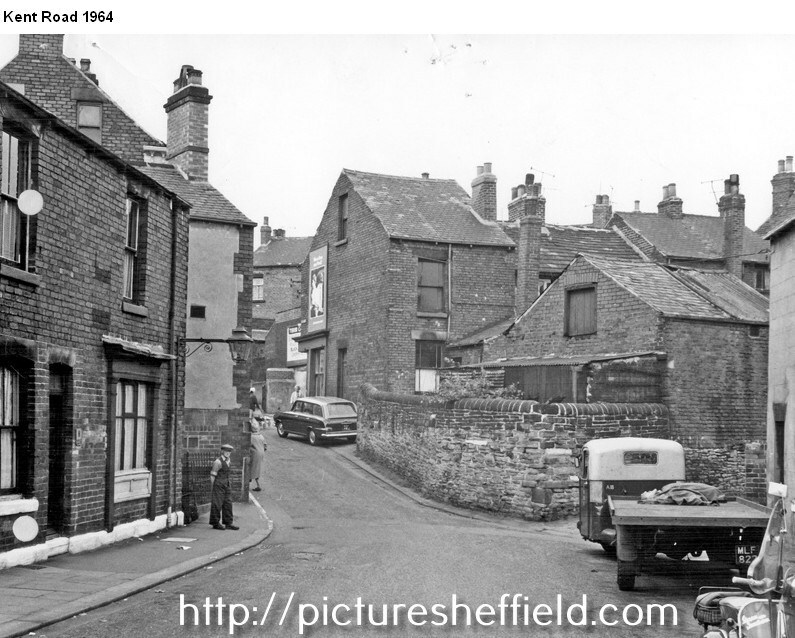 These Picture Sheffield Photographs show the same scene 10 or so years earlier,spot the changes? The other photograph shows the view in the opposite direction.